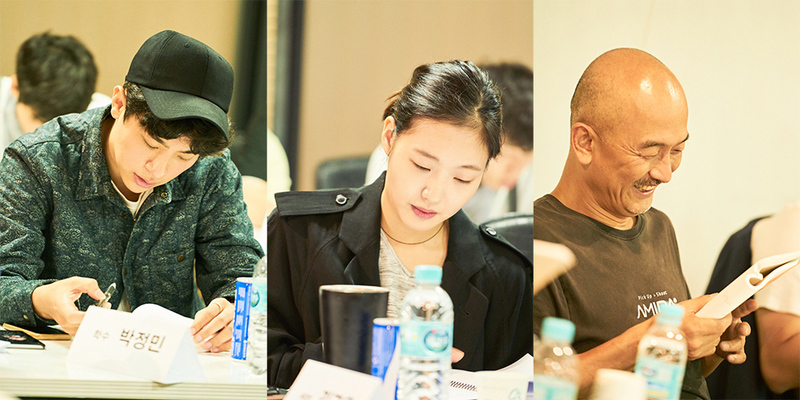 First script reading and filming begins for movie “Byeonsan” starring Park Jung-Min and Kim Go-Eun. Movie is directed by Lee Joon-Ik. Filming for the movie began on September 11, 2017 around the Hongik University area of Seoul, South Korea. The first scene filmed involved Hak-Soo (Park Jung-Min) running into his hometown friends Sang-Yeol (Bae Je-Ki), Goo-Bok (Choi Jung-Hun) and Seok-Ki (Im Sung-Jae) who all came to Seoul. In addition, Shin Hyun-Bin is cast for a supporting role in the film. Shin Hyun-Bin will play Mi-Kyung. Her character went to the same elementary school as Hak-Soo (Park Jung-Min) and Sun-Mi (Kim Go-Eun) and was a popular student back then. “Byeonsan” will be released sometime next year in South Korea.